Earlier this summer, I posted a very simple, very basic smoothie recipe that mixed and matched pretty much any fruits, juices, yogurts, etc. 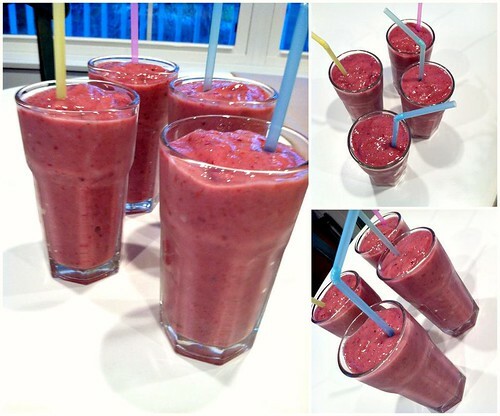 to make almost any type of smoothie. Well since that post, I’ve gotten numerous emails and comments asking for OUR favorite blend of ingredients. Apples and bananas are two of our favorite fruits, and since they are readily available at our grocery stores year-round, we always have them in the house. And thanks to the reduced produce racks at our grocery store, I almost always have a large selection of berries in our freezer. Our favorite berry combination is strawberries, blackberries, and blueberries… SOOOO good! 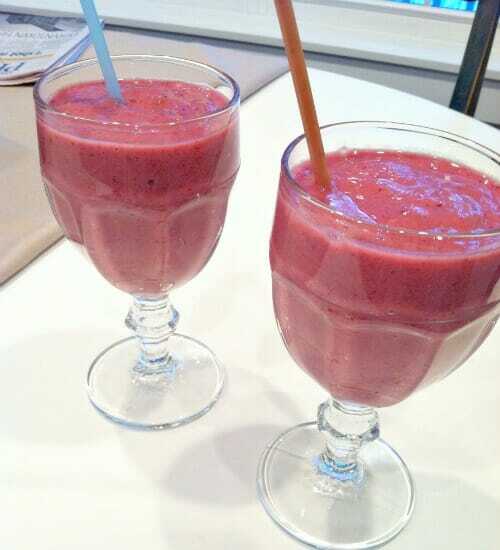 ** use less if you want your smoothie “thicker”, use more if you want it “thinner”. 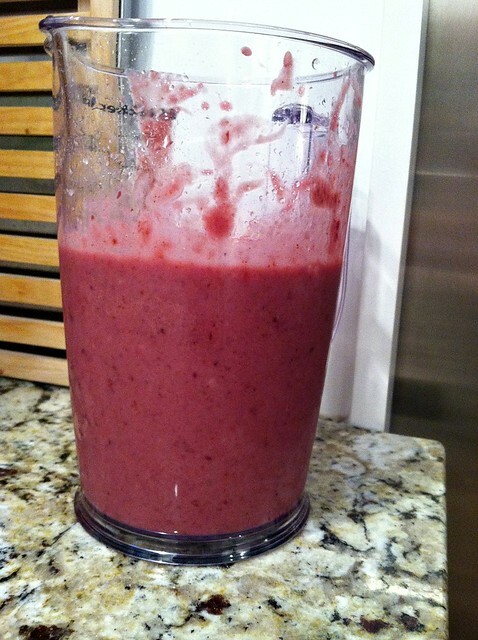 Also, if you’re using fresh berries, then use ice; if you’re using frozen berries, then use water. 1. 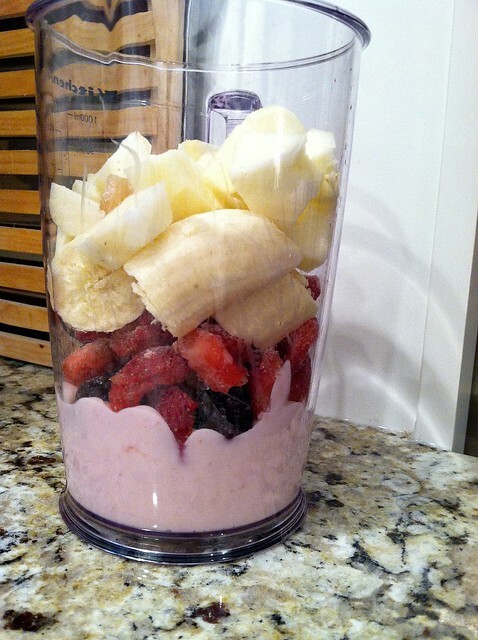 Layer yogurt, fruit, and juice concentrate in a blender. 2. Add 1/2 the water or ice and blend until smooth. Add more water or ice depending on the consistency you prefer. 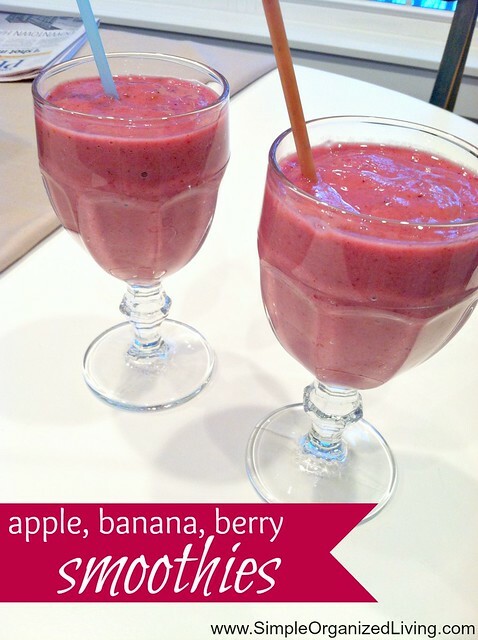 Enjoy your smoothie as a delicious breakfast or healthy snack! Yum!, I am totally going to be making this tomorrow.. I have everything I need.. Ooh.. Lovely.. Thanks so much! I make green smoothies often for my husband. He says they give him energy for work. You can just add spinach and usually can’t taste it. 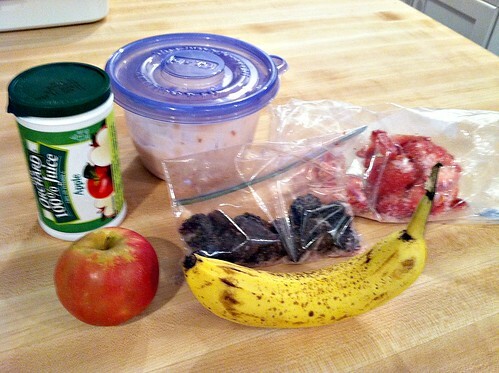 I also make homemade crockpot yogurt, which is extremely easy, to use in my smoothies. It helps the cost and helps it not be as sweet. Of course, you can make it as sweet as you want by adding other things, sugar, if that is your preference.